Fred. 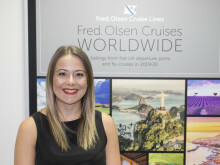 Olsen Cruise Lines is the title sponsor of the upcoming ‘Fred. Olsen Cruise Lines National Masters Curling Championships’, to be held at Greenacres Curling Rink, near Howwood, Renfrewshire from 17th to 20th January 2019. Fred. Olsen’s support of this event is part of a prestigious sponsorship deal with Scottish Curling, the National Governing Body for Curling in Scotland. In the 2018/19 ‘Fred. Olsen Cruise Lines National Masters Curling Championships’, 84 players will be in action, with 12 men’s teams and nine women’s teams. In curling, the age category ‘Masters’ refers to players over the age of 60, which is a target demographic for Fred. Olsen’s cruises. In addition to its sponsorship of the ‘Scottish Curling National Masters Championships’, Fred. Olsen is also working with Scottish Curling to host a dedicated inaugural curling group cruise aboard its 1,350-guest flagship, Balmoral, on a 12-night scenic voyage around the ‘Uncrowded Baltic’ from Newcastle on 6th October 2019. This spectacular Scottish Curling cruise will take in the popular Baltic ports of Copenhagen (Denmark), Helsinki (Finland), St Petersburg (Russia – with an overnight stay), Tallinn (Estonia) and Olso (Norway), before returning back to Newcastle. The action-packed programme will feature a special guest lecturer on board, offering talks on curling, and there will be arrangements for curling games to take place against local teams in the various ports of call. The Scottish Curling group will also be able to dine together on board each evening, as well as taking part in an exclusive group drinks party in one of Balmoral’s many elegant lounges. “We have been pleased with our growing relationship with Fred. Olsen Cruise Lines over the last year and this announcement of sponsorship is based on a new partnership, which we hope will grow into something that our members will benefit from and both organisations will develop mutual benefits. Fred. Olsen operates four ocean cruise ships – Balmoral, Braemar, Boudicca and Black Watch – and one river cruise vessel, Brabant, offering worldwide itineraries all year round. It is one of the market leaders in ex-UK cruise departures from a wide range of convenient regional ports, including Edinburgh (Rosyth), complemented by a diverse fly-cruise programme. 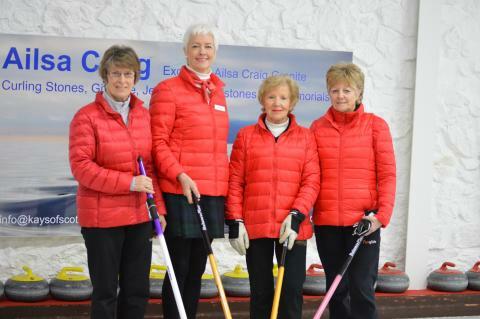 For more information about the exclusive Scottish Curling group cruise, please call the Fred. Olsen Cruise Lines’ Group Sales team on 01473 746169. For Fred. Olsen Reservations, please call 0800 0355 141.